Are you searching for information about Wilsonart® laminates in Maryland, DC, Northern Virginia or Baltimore? At Express Countertops we love to recommend Wilsonart® laminate countertops. They look great, resist stains, and present amazing value at a low cost. Keep reading to learn everything you need to know about Wilsonart® laminate countertops. If you prefer, give us a call at 410-712-0601 and speak with a Wilsonart® laminate installation expert. Or you can click here to contact us online. 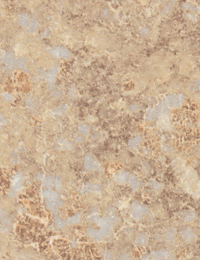 Click here to view our Wilsonart® color and style swatch gallery. Wilsonart® laminates are available in an incredible spectrum of different colors and patterns to match or accentuate any room. With their low maintenance, wipe to clean, stain resistant surface—Wilsonart® offers an elegant, durable surface at a practical price. They are best known for their Standards Collection, which has come to set the bar for laminates across all brands in terms of durability and aesthetics. With an extensive variety of bold matte colors, the Standards Collection is perfect if you’re looking for a great looking, reliable countertop at a value price. Wilsonart® has been awarded the GREENGUARD Indoor Air Quality Certification from the GREENGUARD Environmental Institute. This certification ensures that homeowners in the Baltimore and Annapolis areas as well as across the country can specify a low-emitting surfacing product that does not require special ordering or extra cost. If you’re looking for more complexity in your countertop texture and pattern, Wilsonart® HD High Definition Laminate offers an extraordinary variety of colors and patterns that can even mimic natural stone. From particle and swirl effects, to patterns so deep you feel like you can actually reach into the counter, Wilsonart®’s HD series provides elegant beauty at an unbelievable value. Rest assured knowing that these complex patterns are just as easy to maintain as the Standards Collection. Click here to get information on Wilsonart countertops cost. Wilsonart® also makes some of the highest quality and yet most affordable solid surface counters on the market today. These counters are incredibly durable. They don’t require sealing and will resist heat, stains and bacteria. If they do manage to get stained or scratched then they can easily be repaired with simple buffing. Wilsonart® Solid Surface Countertops are completely customizable from color to design to edge treatment and sink integration. They are the perfect solution if you’re looking for a counter that is as easy to maintain as a laminate, but more durable against heat and scratches. Both Gibraltar® and Earthstone® are approved by the FDA and NSF International for food contact and preparation areas. Click here for additional information on the benefits of using Wilsonart® Laminates. If you would like more information about Wilsonart® Laminates please do not hesitate to call at 410-712-0601. Or click here to request your free Wilsonart® Laminates cost estimate. Didn’t find what you’re looking for? Browse our solid surface countertop collection to see other solid surface countertop options. Express Countertops is home to the famous 1 Week Installation Guarantee. We know how important your kitchen is to your home. When we install your counter, you’ll hardly know we were there. We’ll work efficiently and leave no mess behind. When we’re gone, the only way you’ll even know we were there is when you see your luxurious new counter.